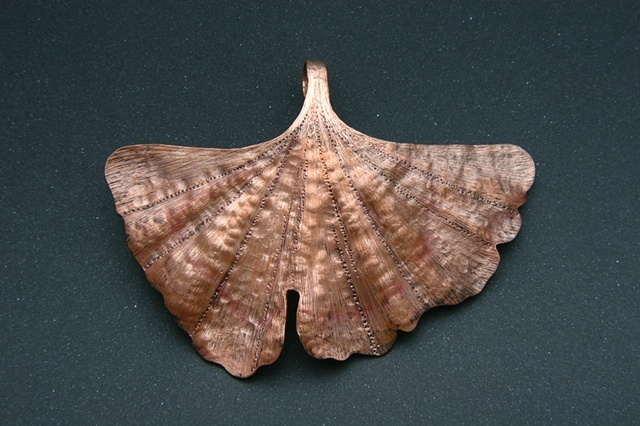 Copper Ginkgo leaf pendant. This pendant is made with the techinque of Repoussé and Chasing, which is a metalworking technique in which a malleable metal is ornamented or shaped by hammering from the reverse side to create a design in low relief. Chasing is the opposite technique to repoussé, and the two are used in conjunction to create a finished piece.